Korean pre-wedding studio photoshoot have been all the rage these days. 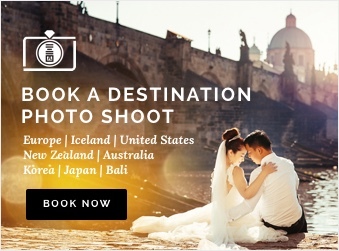 With different concepts that you can choose from, from dreamy, quirky to minimalistic styling, getting a Korea pre-wedding photography done in a studio is one of the ways you can get a variety of romantic backdrops without too much of a hassle. 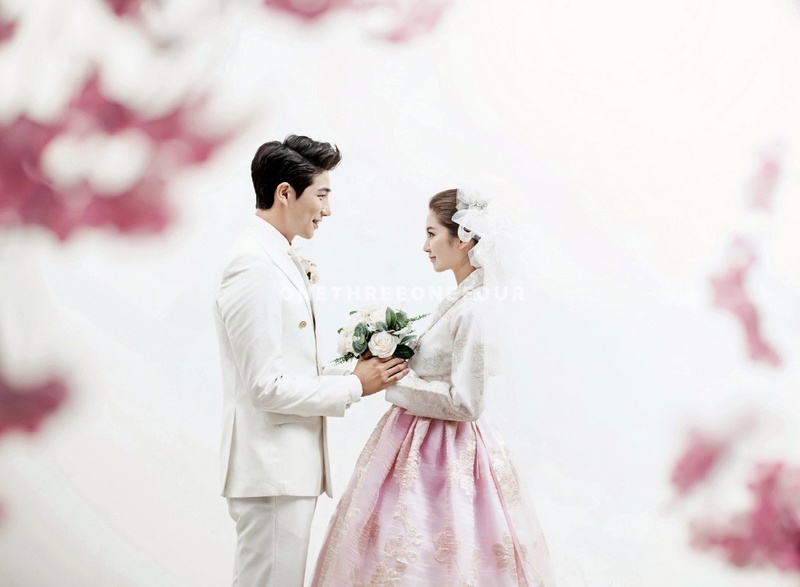 View our compilation of 36 Korean pre-wedding photography concepts. If you’re looking to re-create an out-of-the-world romantic photoshoot that is reminiscent of your favourite Korean drama, look no further and be inspired by Benjamin and Wen’s pre-wedding photoshoot done at Kuho Studio. The couple, who are from USA and are currently living in New Zealand for work, flew all the way to Korea for their pre-wedding photoshoot. A fan of a simplistic and minimalist approach to photography, the couple did not want their shoot to be too flashy and overly dramatic. Instead, they wanted the emphasis of their pre-wedding snaps to be placed entirely on the love, happiness and joyful moments shared between themselves, something that they felt that the photographers at Kuho Studio can provide them with. Clad in a white lace bridal grown with slight ruffles on the train of her dress, Wen was transformed into a princess for the day. Clad in a white lace bridal grown with slight ruffles on the train of her dress, Wen was transformed into a princess for the day. Complete with a sweet and natural makeup, the bride’s styling was incredibly elegant, a classic look that will definitely stand the test of time. The wedding studio settings was filled with an even more dreamy and romantic atmosphere with the white and pale pink cherry blossoms in the background, the soft brick walls and the soft lights streaming through the windows. Another set of their pre-wedding photos, featured the couple against a plain black backdrop, with nothing else but a simple bouquet and some basic props. It was evident that a minimalistic approach set the tone for Benjamin and Wen’s pre-wedding photoshoot. The simple and basic backdrop helped the couple to stand out, allowing the photographers at Kuho Studio to focus on capturing the sweet and pure love story between the new couple. A fun and humorous pre-wedding photoshoot concept can truly reveal what you and your lover are like, off reel life and in real life. The couple also took several casual and fun shots in the studio that will bound to make their families and friends laugh. Like them, your pre-wedding photography session do not have to be all serious, but you can add a candid touch to them to showcase your personalities and quirks. A fun and humorous pre-wedding photoshoot concept can truly reveal what you and your lover are like, off reel life and in real life. The Korean photographers are awesome and had a great attitude. Everything was off expectations. Benjamin and Wen chose OneThreeOneFour as “it was a central hub connecting with multiple studios and the price was transparent. We did look around and contacted other studios, however OneThreeOneFour was simple“. [OneThreeOneFour] was a central hub connecting with multiple studios and the price was transparent. We did look around and contacted other studios, however OneThreeOneFour was simple. 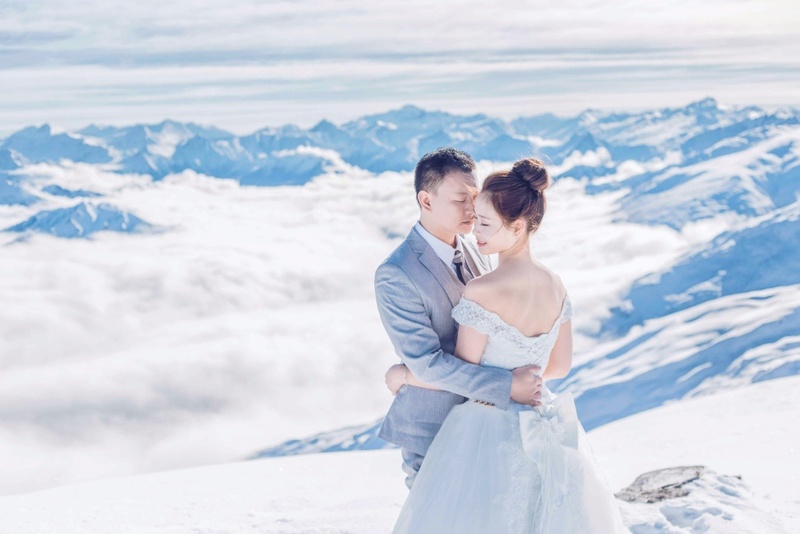 We are incredibly happy for the couple as they embark on a new chapter in life together and are glad that Benjamin and Wen had a pleasant experience with OneThreeOneFour and Kuho Studio! Can’t wait to get have your very own shoot? View our full list of Korean wedding studios. The packages and prices are indicated on each studios’ profile page as well. If you have any questions regarding our Korea pre-wedding photography packages, feel free to drop us an email at [email protected].